Cultural and political history of the “U Černého orla” house is very rich and varied. Shortly after it was built, on April 21, 1575 (the time of negotiation of Czech Confession), the Emperor Maximilian II, his wife Maria of Spain, their son Matthias and many courtiers were feasted just here. The imperial couple spent the night, whereas the Crown Prince Matthias was accommodated in the neighborhood, in the house of Mráz family of Milešovka (so called “Kalich”). This understandably exceptionally important visit was ineffaceably written in the following history of the house – the imperial emblem (black two-headed eagle) was painted in the memory of this event, probably on the front facade, which could be the reason for the future naming of the house. 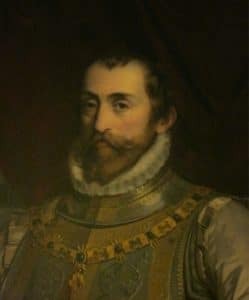 The negotiation of the so called “Peace of Prague” in 1635 that took place in Litomeřice, was attended by King of Bohemia and future Holy Roman Emperor Ferdinand III and Elector John George I of Saxony’s emissaries. This negotiation probably took place just here. On June 14, 1650 was the house and the belongings taken away from the town law union and by adding to Zemské desky (literal translation: “Land tables”, meaning: old Czech source of law) promoted to the knight residence. 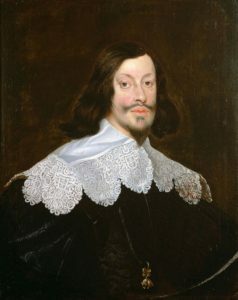 It was done so on an order of Ferdinand III, retroactively valid from 1628) and it was named – probably still under the influence of the visit of Maximilian II – “Králův hrádek” (ENG: King’s castle, DE: Königsburg). In addition, the then owners, Aulík family from Třebnice, were allowed to expend their title with this name. In connection with awarding of these privileges is also the title of honor “Salva guardia”, which is being used to refer to the house till this day. It comes from Italian and can be translated as “protected”, “to protect”, “protective measure” or “secured”, so it is some form of general declaration of protective privilege. The house was visited by another very significant, although until lately rather unknown personality, namely in 1887. 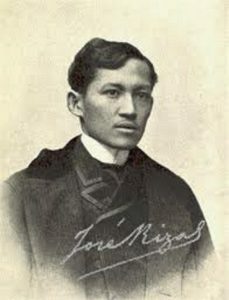 Philippine physician, patriot and writer José Rizal was staying here from May 13 to May 16. He came to visit his friend, Professor Ferdinand Blumentritt, who was a principal of the grammar school/high school in Litoměřice. Rizal, who came accompanied by his good friend Máximo Viola, was accommodated in the hotel “Krebs”, which no longer exists, but he was meeting professor Blumentritt, his family and many of their friends in the “U černého orla” restaurant. José Rizal (full name: José Protasio Rizal Mercado y Alonso Realonda) (born June 19, 1861 in Calamba, Laguna and executed December 30, 1896 in Manila) was a Philippine national hero, poet and prosaist, one of the first eye surgeons in the southeast Asia, national revivalist and most important personality of the Philippine Independence movement. 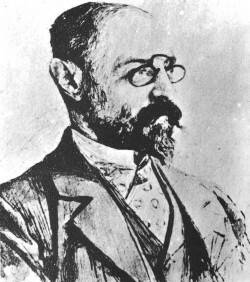 Ferdinand Blumentritt was a principal of the grammar school/high school in Litoměřice, teacher and author of articles and books about Philippines and its ethnography. His work is extensive, although he himself never visited the Philippine Islands. He was the closest Rizal’s confidant, even though they met only once. He translated Rizal’s first novel Noli Me Tángere into German and wrote a foreword for his second book El Filibusterismo. Both these novels led to Rizal’s sentence and execution in 1896. Professor Blumentritt, who is in Czechia almost unknown, is in Philippines commemorated with number of public site names. Just in Manila, the capital of the Philippines, you can find Blumentritt Road, Blumentritt District, Blumentritt LRT station, Blumentritt Railway Station and Blumentritt Market.